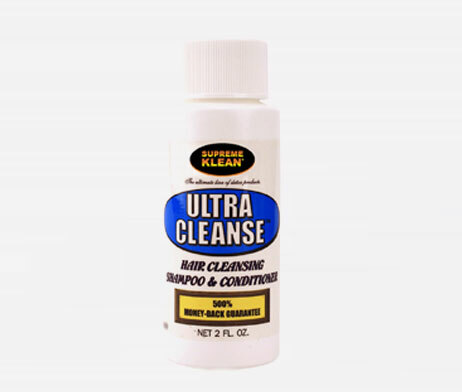 Ultra Klean Hair Cleansing Shampoo & Conditioner has been specially formulated to remove all toxins from the hair shaft. You will not find a better hair cleansing shampoo in the market today. As with all Ultra Klean products, Ultra Klean has the industry’s only 500% Money Back Guarantee! You Will Pass Your Hair Test With Our Shampoo!